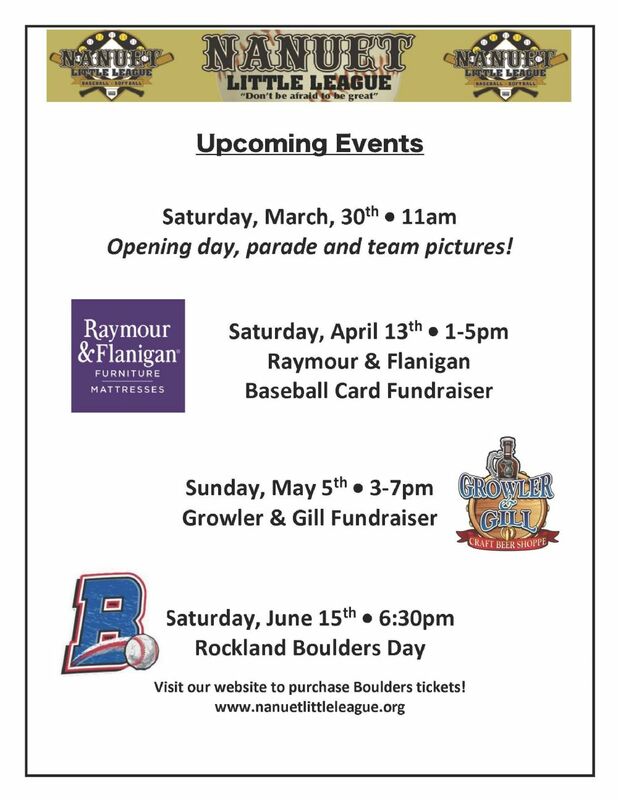 Spring events with Nanuet Little League! Join the Pitch by Pitch Baseball Camp team for a two-day instructional clinic! 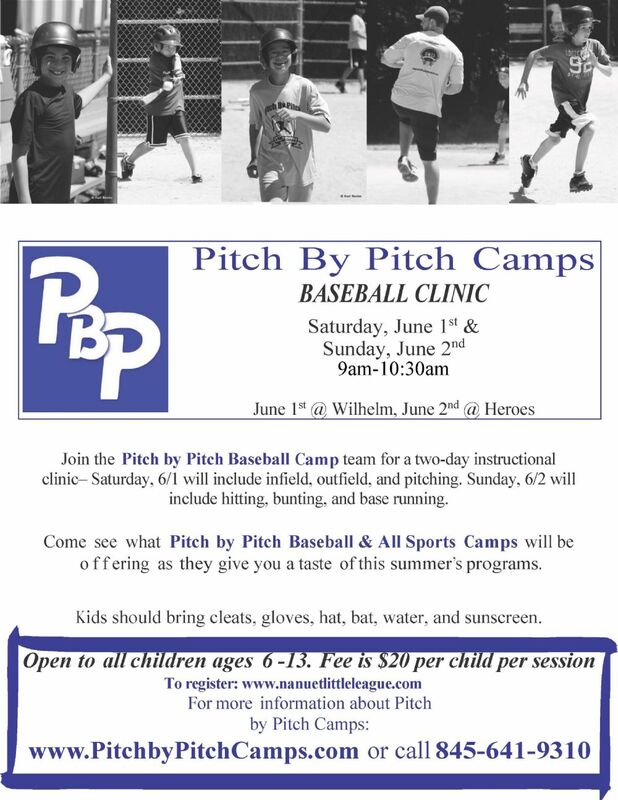 Come see what Pitch by Pitch Baseball & All Sports Camps will be offering as they give you a taste of this summer’s programs. Kids should bring cleats, gloves, hat, bat, water, and sunscreen. 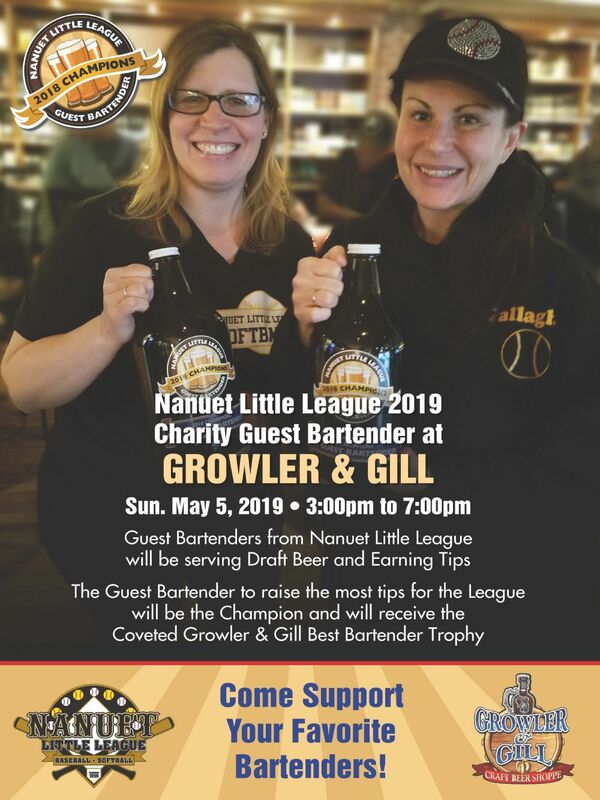 Come celebrate Cinco de Mayo with the Nanuet Little League at our annual Growler and Gill fundraiser! This year's event takes place on Sunday 5/5 from 3-7pm. We are looking for guest bartenders to help throughout the day. Please contact Jeff Lee at if you are interested. We look forward to seeing you on 5/5!